Ever since he first saw her,Frederick Clegg has been obsessed with Miranda Grey. The repressed, introverted butterfly collector admires the beautiful, privileged art student from afar. When he wins the Lottery, he buys a remote country house, planning to bring her there as his ‘guest’. Having abducted and imprisoned her in the cellar he soon finds the reality is far from his fantasy and their tense, claustrophobic relationship leads to a devastating climax. Originally a novel written by John Fowles in 1963 The Collector was subsequently made into a film with Terence Stamp and Samantha Eggar. 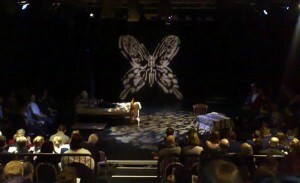 Since then it has been adapted for the stage on several occasions, most successfully in this adaptation by Mark Healy. The novel has inspired a number of songs by artists as diverse as The Everly Brothers, The Jam and Nine Inch Nails and has been referenced in comic books, novels and a number of television series, including The Simpsons. 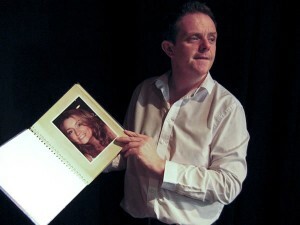 Liam Fox as Frederick Clegg. Lisa Whiteside as Miranda Grey.